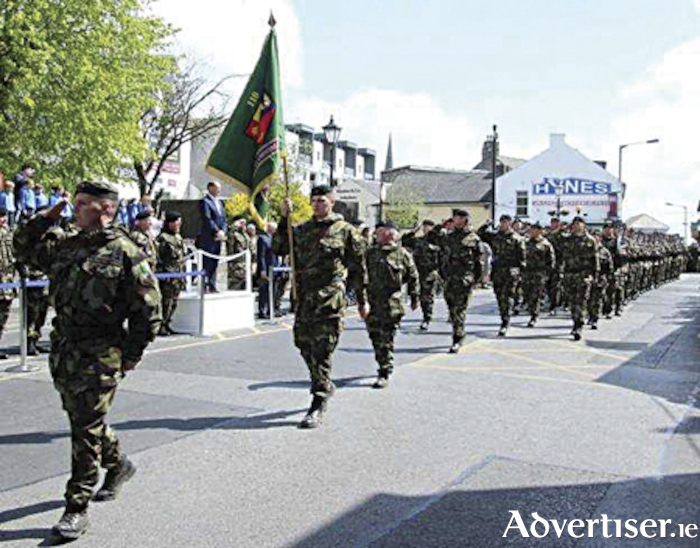 Athlone based Senator, Gabrielle McFadden, has welcomed confirmation from the Department of Finance and Expenditure reform that they are willing to fund a number of outstanding Defence Force pay issues with effect from the October 1. The issues which have been adjudicated upon include an increase in the army ranger wing allowance, an increase in chef’s technical pay, provision of free rations to recruits and apprentices and payment of an allowance to NCOs who take on certain additional responsibilities. “While I welcome this decision, having raised these issues so many times in the Seanad, I am exceptionally disappointed that the Department have not offered to pay arrears. I have friends who have retired from the Defence Forces and I am very disappointed that they will not get arrears paid. It is the same for the widows of members who have passed away. “At the very least, a rebate should be considered for recruits who have paid for accommodation and rations down through the years. They have actually paid to be trained and I think that they should get that money back,” Senator McFadden noted. The Senator urged further discussions between both parties with regard to the issue of arrears payments. “I also urge both sides to sit down to see if there is an alternative to the absolute denial of the arrears payments. PDFORRA have suggested legal action. Let’s get the pay paid out first and then look at outstanding issues in the adjudication. It’s really vital that they get this money as they are entitled to it,” the Senator concluded.